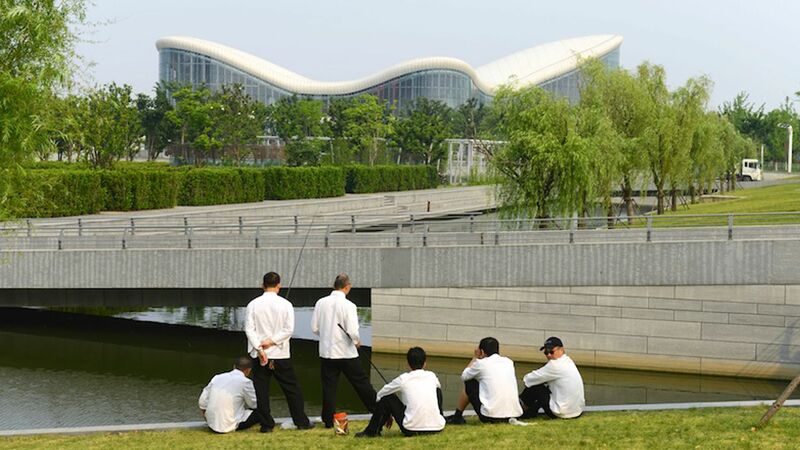 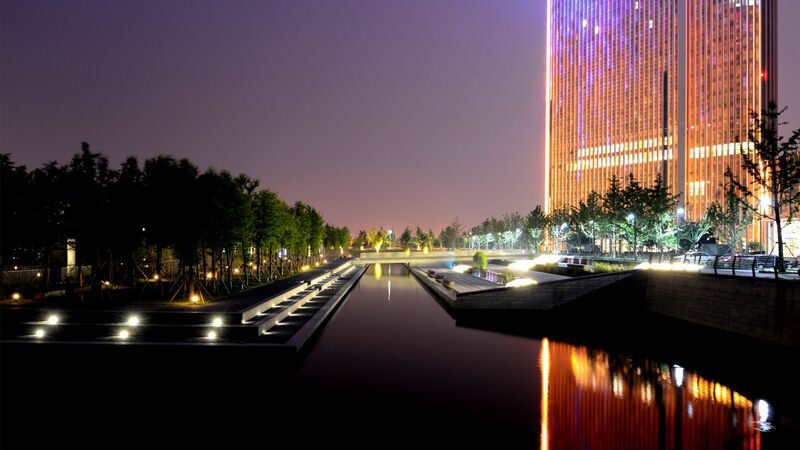 Central Business District Wuxi In the new Chinese science and technology city of Wuxi, a broad city centre evolved, called Central Business District, including town hall, cultural centre and a hotel. 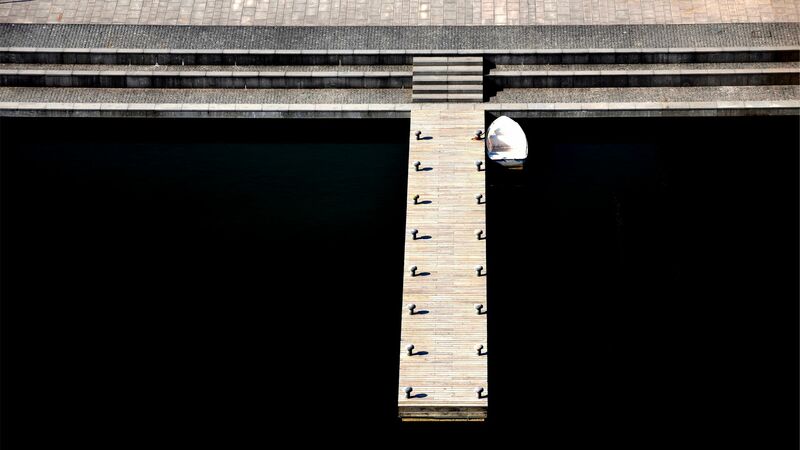 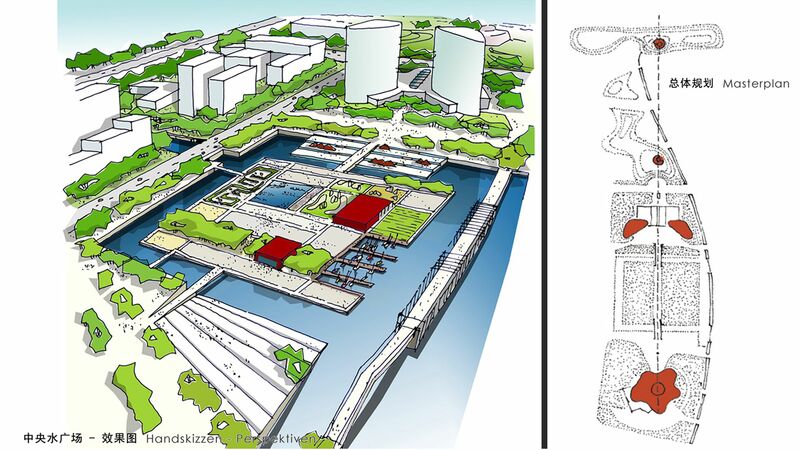 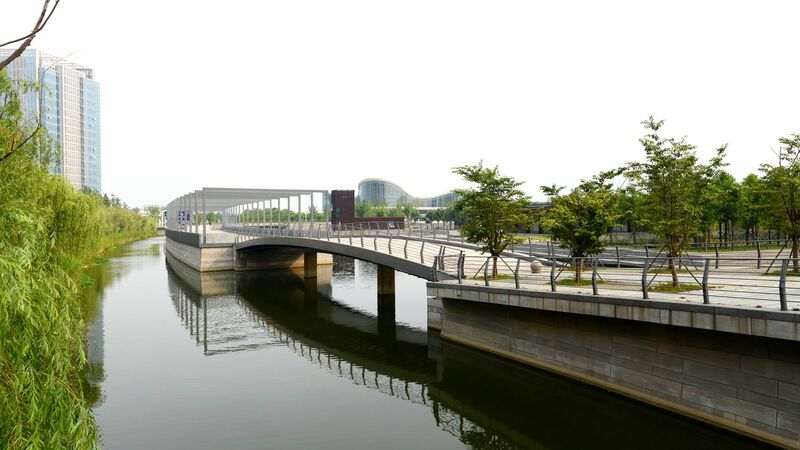 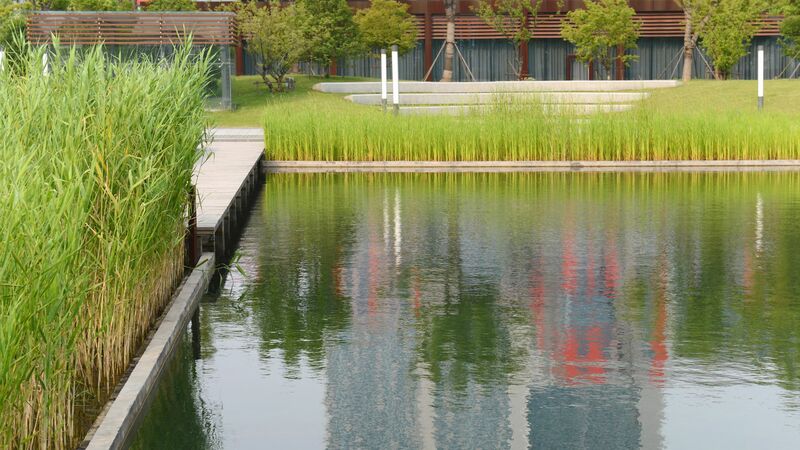 The idea was to concentrate the numerous streams and canals in order to create an urban water landscape which has plenty recreational space for leisure purposes as well as enough to offer in order to hold larger cultural events. 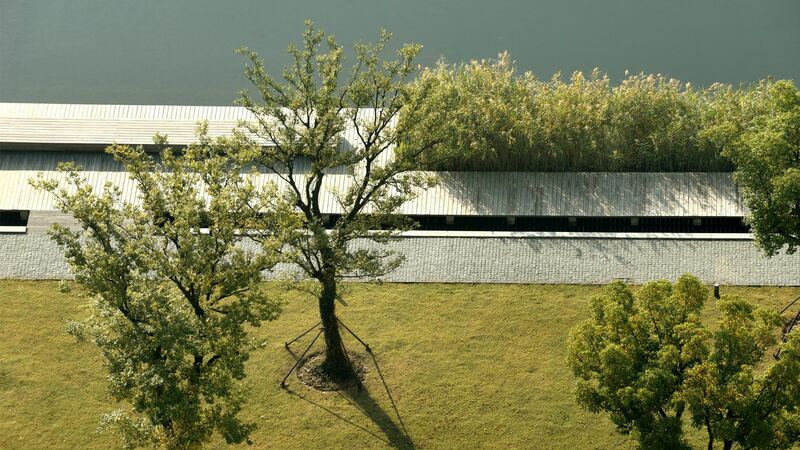 In the picture, several geometrical patterns and structure overlap what can be seen as an homage to Piet Mondrian: squares, water areas, green spaces, groves, hedges and meadows form a lively and diversified design. 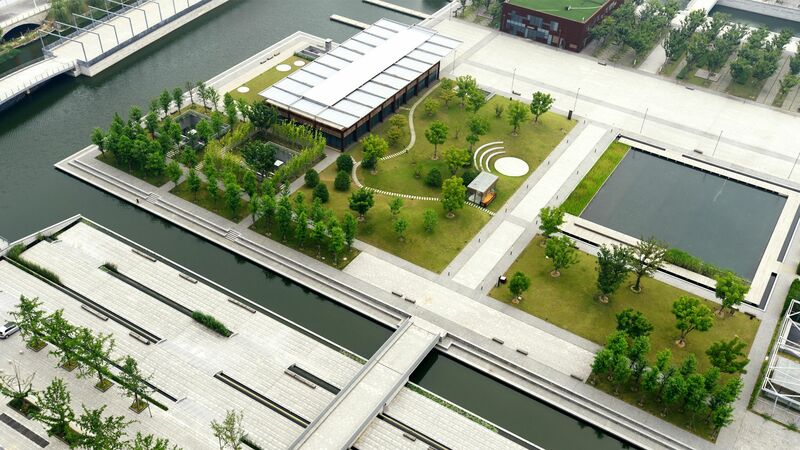 A café and a museum have been integrated into that design. 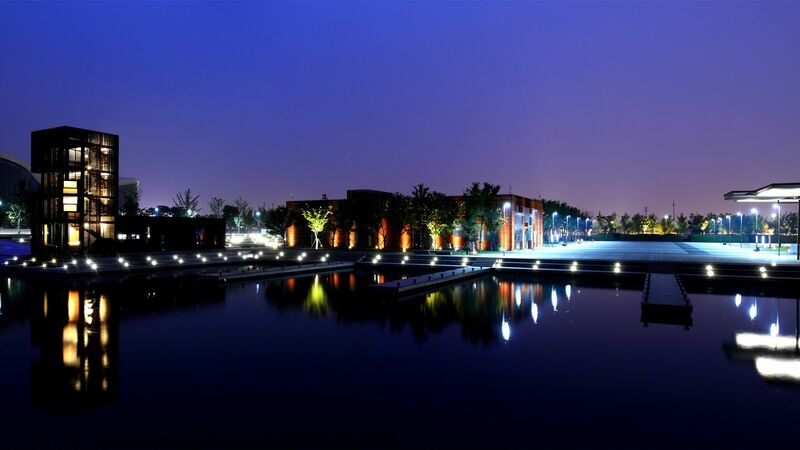 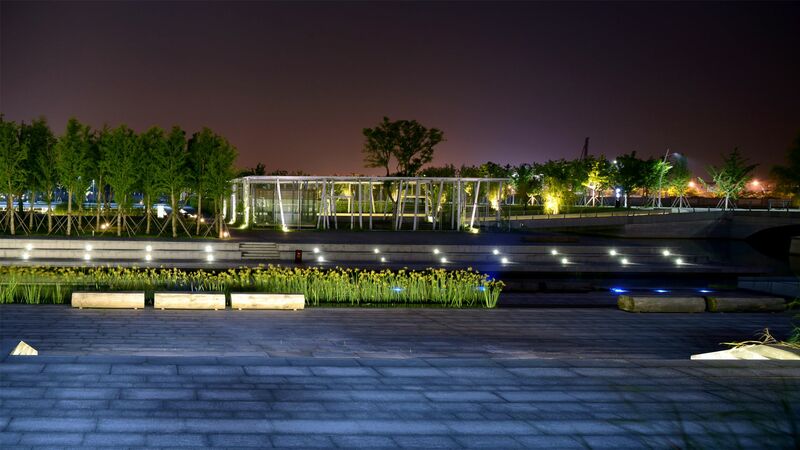 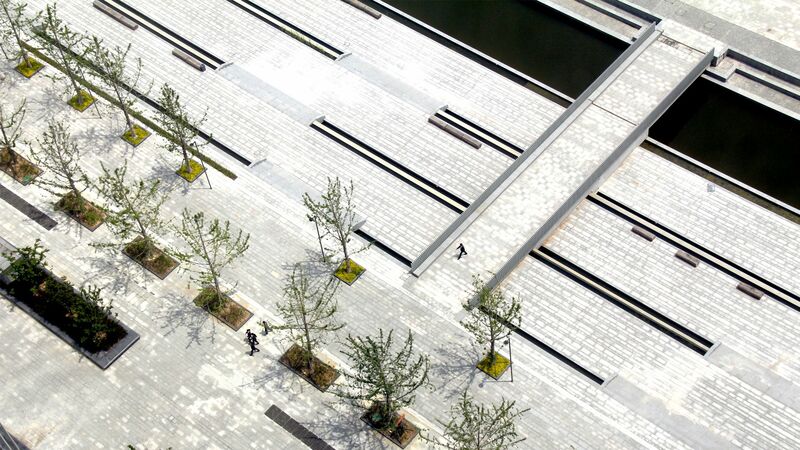 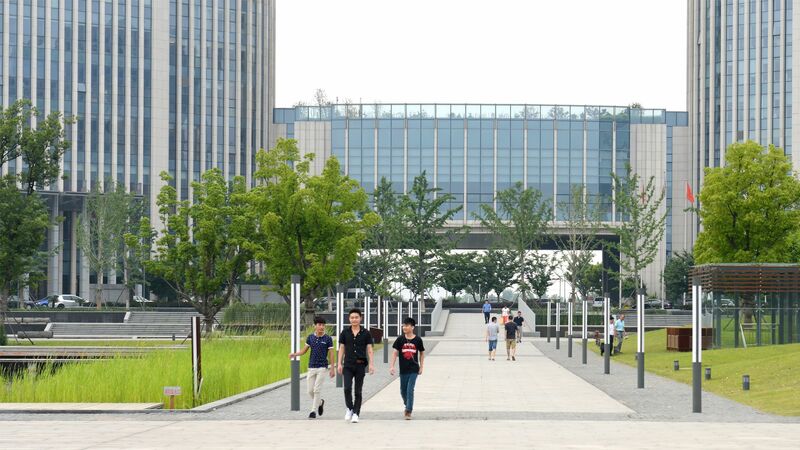 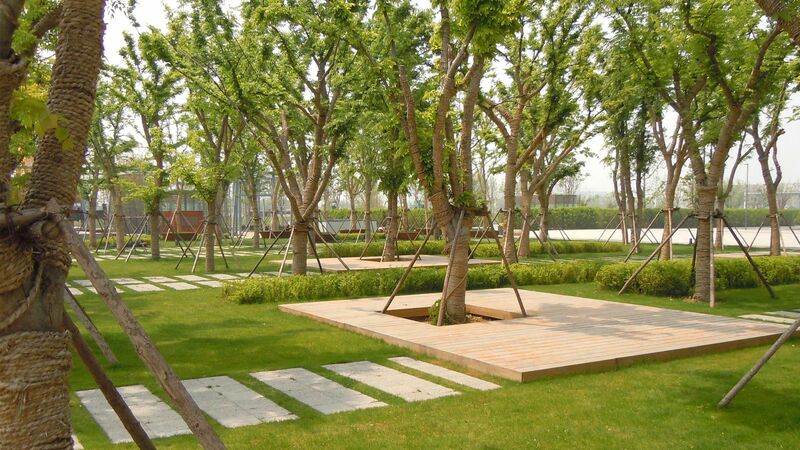 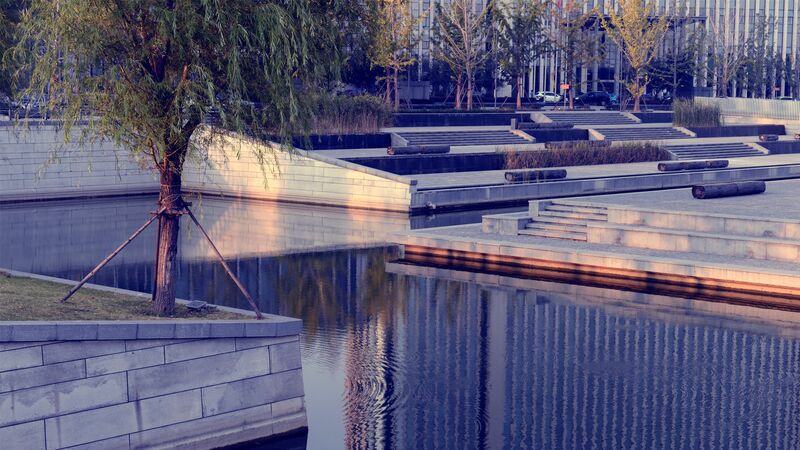 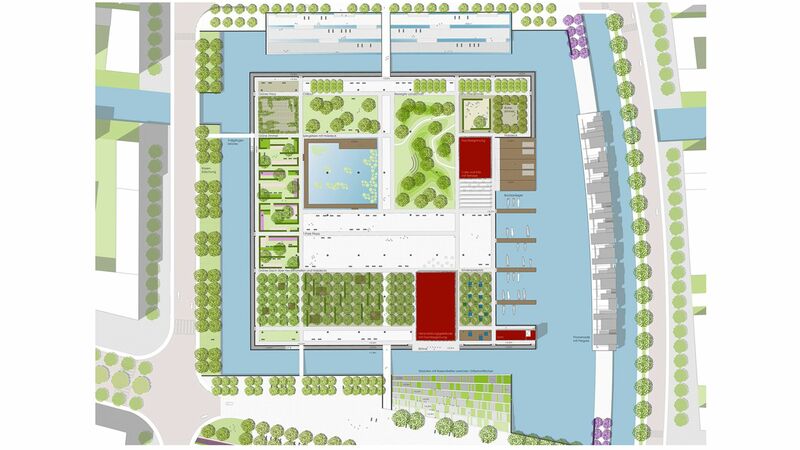 The water square reflects an affiliation to the structures of ancient water cities in China. 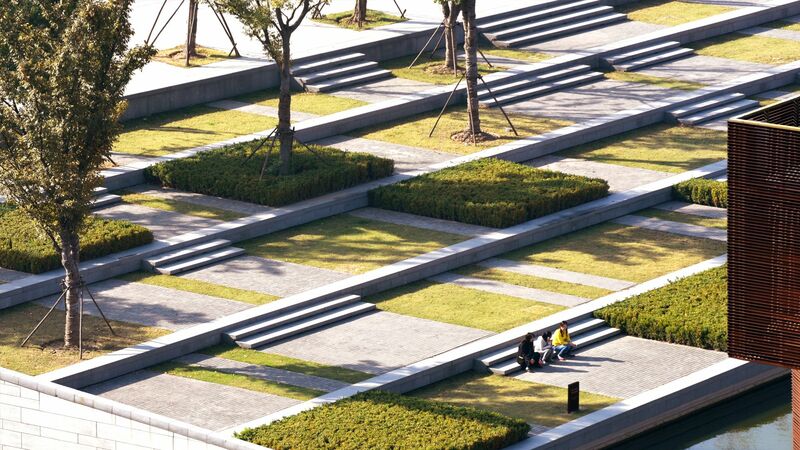 The philosophy behind it was to transform traditional elements into new contexts and forms.